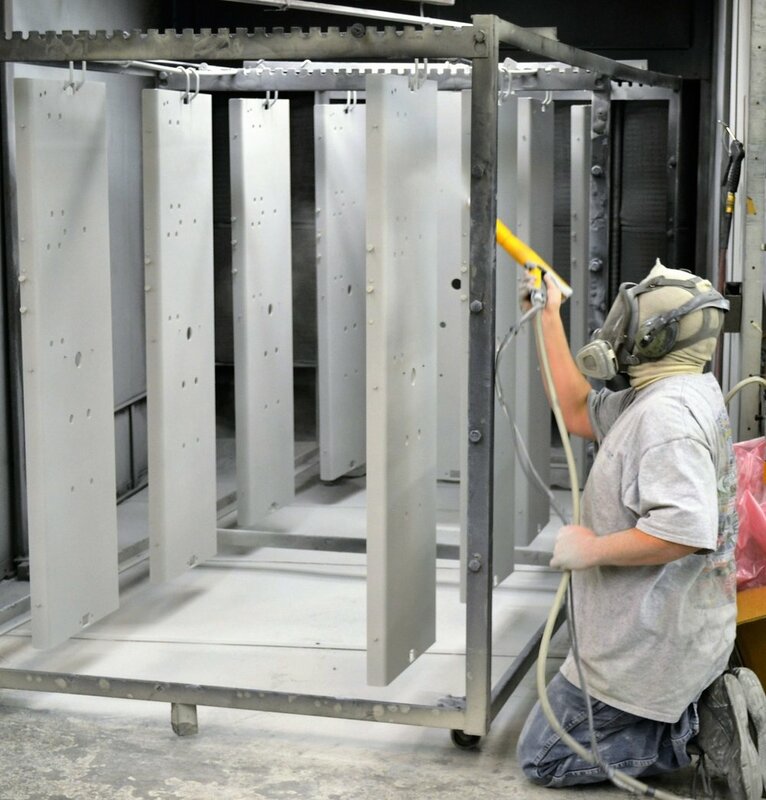 Mid-Atlantic Fabrication & Finishing is a manufacturer of precision sheet metal components located near Raleigh, North Carolina. Our mission is to provide quality products and services in the build, rebuild, repair and modification of precision sheet metal-related components and services with the shortest lead time and fairest price. Our experienced team can help make your vision come to life beginning with the design of your parts. Bring us your back-of-the-napkin sketch and we will deliver your metal prototype. We offer short or long runs as well as design and engineering support services. Our extensive quality fabrication capabilities include computer numerical control (CNC) laser cutting, punching, forming, and precision welding. Based on your concept, we can prime and paint using the latest pre-treatment and electrostatic technology to achieve 1000 hours’ salt spray resistance. We can also silk screen to optimize the look, life, and functionality of your part.